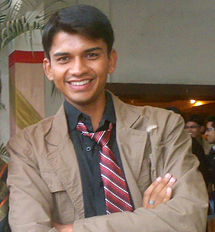 Aditya Chourasiya is currently working in Oracle as QA engineer. ISTQB [International Software Testing Qualifications Board] Certified Tester. Has initiated QA Android Business Unit in EA sports, Hyderabad as a pilot team member. Work experience as freelance website developer / QA / Graphics designer. A Dev Tester works on the Global Online Development group and must be able to create, update, and execute test plans, manage project schedules and milestones from QA's perspective, and assist the development team in debugging and replicating issues for software projects. Functions: •	Incorporate as QA expert in between Production-Development-Testing Trio. •	Execute test approaches from the unit-level to acceptance-level phases of testing. •	Debug issues and verify requirements from both customer [client and server] and local interfaces. •	Perform communication and project management tasks with minimal supervision. •	Task oriented, able to set realistic milestones and work towards successful completion. •	Successfully interface with people with a diverse set of backgrounds and needs - able to speak their language, appreciate their challenges, and maintain their respect. •	Strong interpersonal skills. •	India against corruption coordinator for Hyderabad and Jabalpur. (2010-11) •	Program Manager in Convergence’09 [Inter-college Technical festival] (2009) •	Acknowledged from MPSPS for Social Welfare (Sihora, Madhya Pradesh 2009), while working as a Secretary in Mission Smile Welfare Society for 6 months. •	Robo-war [Robotics] GRKIST Inter College Championship. (2008) •	Chess Championship (SRIT 2008) •	Tabla Inter-state Event Performance (Gunjan Kala Sadan 2005) •	Top Provider (2008) for Graphic Designing Job Portal. (2009) •	Staging of “Sahastrabahu” with Vimarsh Natya Sadan. (2010) •	Student Head of School (2001-06).